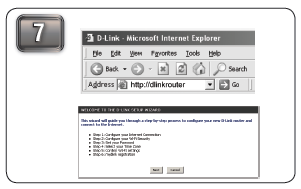 To configure your router, go to the Manual Setup Section below and follow the steps. 1.Turn off and unplug your cable or DSL broadband modem. 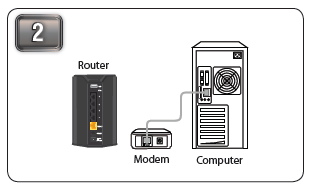 2.Position your router close to your modem and a computer.Place the router in an open area of your intended work area for better wireless coverage. 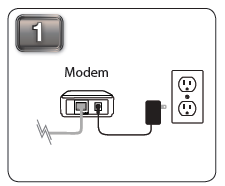 3.Unplug the Ethernet cable from your modem (or existing router if upgrading) that is connected to your computer. 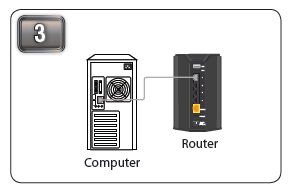 Plug it into the black port labeled 1 on the back of your router. 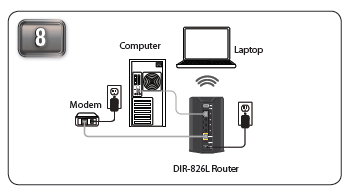 The router is now connected to your computer. 4.Plug one end of the included blue Ethernet cable that came with your router into the yellow port labeled INTERNET on the back of the router. Plug the other end of this cable into the Ethernet port on your modem. 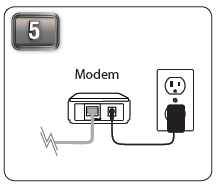 5.Reconnect the power adapter to your cable or DSL broadband modem and wait for two minutes. 6.Connect the supplied power adapter into the power port on the back of the router and then plug it into a power outlet or surge protector. Press the power button and verify if the power LED is lit. user manual for more detailed installation information and advanced features. 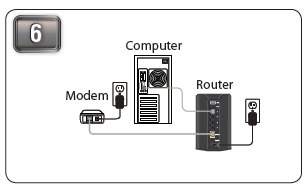 8.This is a sample network configuration of the setup after you have completed all the setup steps.